In Moscow, they'll perform at the prestigious DOM cultural center where they played last year and were immensely applauded. The venue's website is here. Surely more dates are to be added. We'll let you know more about the tour later, so stay tuned. The release date of the two upcoming reissues, "Uwasa No Jinrui" [The Human Being] (originally from 1981) and newly-titled "Fushigi o Mitsumete" [Watching the Wonderment] (originally released as "Orguss 02 OST" from 1996) has been set on August 12. Needless to say, both albums are remastered with 5.6MHz DSD technology, and come with cardboard sleeve. The remaster edition of "Fushigi o Mitsumete" has a bonus track (a short version of the title song) and new artwork. HMV Japan has already listed the albums, here and here. The performance of the augmented Hikashu (or Godzilla Legend) at Fuji Rock Festival this year featured a series of the selections from the classic Japanese monster movies. Special guest Marianne Shinonome (from Kinoco Hotel) sang a song "Kaese Taiyo o" [Give Us Back The Sun] from the classic Japanese monster movie called "Godzilla vs. Hedorah" (1971). The mortals repeatedly make mistakes and it's the monsters who suffer and come to the rescue. English version of the song entitled "Save the Earth," performed by Adryan Russ. The English lyrics is well made - properly reflected the original lyrics in Japanese. This year's Fuji Rock Festival has ended without a hitch. Hikashu did two shows on the last day of the event (they were the only act who did multiple shows in a day for the festival), and now the site called Fujirockexpress.net published the photo galleries of both shows. Their performance was such an apparent success; many of the audience tweeted their stage was "the best of the year's festival." "Fude o Fure, Kanata-Kun" [Wave the Brush, Mister Beyond] is now uploaded on the band's MySpace account. It is the opening track of their latest effort, Uragoe, and now regularly featured at their gig. This is also the recording Makigami ever tried his shakuhachi (Japanese bamboo flute) for the first time. The song is placed at the end of the playlist. Just scroll down the list and click the play button appropriately. It is most likely that the number will be played at Fuji Rock Festival this weekend. Performed on December 25, 2011 at Daikanyama UNIT, Tokyo. In the introduction, keyboard player Shimizu Kazuto played RADIOACTIVITY in morse code. This performance marked a highlight of the evening, and surely the number will be featured again at Fuji Rock Festival this weekend. 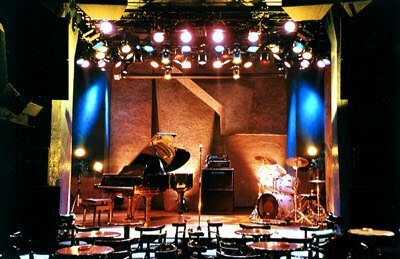 This weekend Hikashu will do a special gig at a jazz club in Yokohama called Airegin. Hikashu's gig at Airegin is a sporadically-occurring event - once in a few years. But everytime it's special, both for the band and the audience. This is not an ordinary gig of the band - even if there's such thing because they play differently every time, but anyway this is special - their gig at Airegin is mostly instrumental, extended jams and improvisation. Or they try out some unreleased compositions or works in progress. 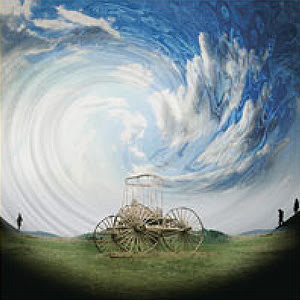 In short, the band utilizes the opportunity as a hotbed for experimentation in music. Last time they played at Airegin was April 10, 2010. At that gig, they played a series of extended improvisation, an old original Mita just discovered from his vault (later rearranged and finished as "Ashita Ni Kaketa" [Hung On Tomorrow]), and even a Calypso tune. The main set closed with a new arrangement of "Sun Ra is the Pianist," a crowd-pleaser but still unreleased tribute song to the great bandleader who has departured from the earth some time ago (the arrangement featured a chant in outro - very afro, and spaced out). For audience, it's very interesting to see the band working on compositions and jams - and as already mentioned, they try out new things at Airegin - they know the audience expecting it. The crowd gathering there is a sort of connoisseur - the people who have no hesitation to confront new things, even appreciate it. Everything could be accepted there. Anyway, do not miss this opportunity or you'll have to wait a few more years. It's better to call the venue for reservation because the admittance is limited. -- "Sun Ra is the Pianist"